File photo of Air Tanker 116, an HC-130H, spraying retardant on a fire near Phoenix, June 22, 2017. Fox 20 Phoenix. The amendments to the National Defense Authorization Act for Fiscal Year 2019 to authorize the transfer of seven HC-130H aircraft to the state of California made it through the conference committee and was passed by both houses. It was given to the President on Friday and he is expected to sign it. The aircraft will be converted to firefighting air tankers capable of dropping at least 3,000 gallons of fire retardant. The part of the bill regarding the aircraft formerly owned and operated by the Coast Guard is a relatively small portion of the legislation that covers $717 billion in spending for the Department of Defense. It directs the Air Force to complete the center and outer wing-box replacement modifications as needed, programmed depot-level maintenance, and procure and install a gravity powered retardant delivery system in each aircraft. The bill increases the maximum spending limits that were specified in the original 2013 legislation. The amount that can be spent on the retardant systems increased from $5 million to $7.5 million per aircraft, and the total amount spent on the entire project went from $130 million to $150 million. In 2013, legislation directed that the seven aircraft be modified into air tankers and transferred to the U.S. Forest Service. So far at least two have come close to completing the modifications, but none of them have had retardant delivery systems installed, due primarily to delays in Air Force contracting. Occasionally one at a time has been spotted, T-116 or T-118, dropping retardant, using a Modular Airborne FireFighting System taken from the eight MAFFS units that are usually assigned to Air National Guard and Air Force Reserve squadrons. This fiscal year the administration decided, five years after the process began, that they are no longer interested in acquiring the HC-130H’s. CAL FIRE has maintained a fleet of 23 S-2T air tankers for years that can carry up to 1,200 gallons of retardant. These seven HC-130H’s would be a very significant addition to their aviation program. Thanks and a tip of the hat go out to MrCAPT1409. In 2013 the U.S. Forest Service was expecting to receive seven C-27J aircraft from the Air Force. The Air Force was giving them up even though the oldest were only a few years old, and the newest ones were still to be delivered from the manufacturer. If used as an air tanker it could carry up to 1,850 gallons of retardant in a conventional gravity-assisted tank, or 1,100 gallons in a mini-MAFFS slip-in tank, if a mini-MAFFS were designed, built, and purchased. It could transport between 24 and 46 smokejumpers. The C-27J could carry two 20-person crews, except, for example, at Reserve, New Mexico, elevation 8,143′ with a 4,777′ runway, it could land with two crews, but could take off with only one. The aircraft could carry between 12,222 and 25,353 pounds of cargo. The hourly flight cost would be between $5,800 and $7,400 if used for 250 to 400 hours a year. The C-27J is training intensive and requires constant skill application by the aircrews to remain proficient and mission-ready. As it turned out, the USFS did not get the seven C-27Js. Those plus another seven were given to the U.S. Coast Guard, while seven of the Coast Guard’s old HC-130H aircraft were ordered to be transferred to the USFS after being converted by the Air Force into air tankers. This was etched in stone when the National Defense Authorization Act of 2014 was passed in December, 2013. The conversion of the first of the seven HC-130Hs is partially complete, as evidenced by Tanker 118 being stationed at McClellan Airport this week. As of January 2015, the Coast Guard had transferred 2 of the 14 C-27J aircraft it is receiving from the Air Force to its aircraft maintenance facility, with plans to field 14 fully operational C-27Js by 2022. According to initial Coast Guard estimates, while the aircraft come at no cost, the Coast Guard needs about $600 million to fully operationalize them. This process is complex and significant work and risk remain. For example, the Coast Guard must establish its needs and purchase a set of spare parts for each aircraft, but faces hurdles due to potential pricing issues and delivery delays from the manufacturer. Also, the Coast Guard does not have access to the manufacturer’s technical data that are required for modifications to the aircraft’s structure to, for example, incorporate radar. These and other risks may inhibit the Coast Guard’s ability to operate the aircraft as planned. However, the Coast Guard is working to mitigate these risks. The C-27J will improve the affordability of the Coast Guard’s fixed-wing fleet, but the fleet as currently planned may not be optimal in terms of cost and flight hour capability. The Coast Guard submitted a business case to Congress in 2013 that determined the C-27J would save $837 million over 30 years, compared to the program of record, without reducing fleet performance. GAO estimates that the fleet the Coast Guard is currently pursuing achieves nearly all of these savings. However, the source of these savings has shifted. A significant portion of the savings now results from an 18 percent drop in flight hours due to a change in the mix of aircraft the Coast Guard intends to pursue. GAO used updated information in conducting its analysis, such as the expected service life of each aircraft type. Consistent with congressional direction, the Coast Guard is conducting a multi-phased analysis of its mission needs—including its flight hour goals and fleet of fixed-wing assets—but will not present the full results prior to its 2019 budget request. In the meantime, the Coast Guard has prudently paused its existing HC-144 acquisition program. However, since 2000, the Coast Guard has received 12 HC-130Js without budgeting for them and it may continue to receive these aircraft while it studies its fixed-wing fleet needs. If the Coast Guard continues to receive these aircraft in the near term, the capability and cost of the Coast Guard’s fixed-wing fleet runs the risk of being dictated by the assets the Coast Guard already owns rather than what it determines it needs. The Air Force is transferring 14 C-27J aircraft to the Coast Guard. Once modified into surveillance aircraft, the C-27Js will be a part of the Coast Guard’s fixed-wing aircraft fleet. In 2007, the Coast Guard established a baseline of aircraft quantities and costs known as the program of record. This baseline established the cost and quantity of aircraft necessary to achieve its goal of 52,400 flight hours per year. The Coast Guard’s aircraft, including the HC-144 and HC-130J/H, are integral to its missions, such as counterdrug and search and rescue. GAO was asked to review the transfer of the C-27J to the Coast Guard. This report assesses (1) the status of the transfer and risks the Coast Guard faces in fielding the transferred aircraft; and (2) the extent to which acquiring the C-27J affects the overall cost and performance of the Coast Guard’s fixed-wing aviation fleet. GAO analyzed program documents and maintenance records for the C-27J. GAO interviewed Coast Guard and Air Force officials and private contractors. GAO also analyzed the Coast Guard’s C-27J business case. The first of the seven HC-130Hs that are being transferred from the Coast Guard to the U.S. Forest Service will arrive at Forest Service Air Station McClellan (FSAS MCC) in mid-June, not mid-May as originally planned. And yes, that is what the Forest Service is calling their facility at McClellan Airport in Sacramento, California. The aircraft will still be a work in progress when it lands at MCC. It will not have the paint job as seen above, but will be gray and white with U.S. Forest Service Modular Airborne Fire Fighting System MAFFS markings, according to Jennifer Jones, a USFS spokesperson for the USFS. The gravity-based retardant tank will not have been installed, so it will be temporarily operating with a MAFFS pressurized 3,000-gallon tank. It will also need to depart at some point for scheduled Programmed Depot Maintenance, painting, and retardant tank installation. Coast Guard HC-130H #1721, will be one of the first two Coast Guard HC-130Hs to be used by the USFS. Photo by Alan Stern 10-24-2014. 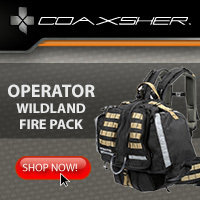 The USFS expects that it will be available to fly firefighting missions by August. It will usually be be restricted to fires within 500 nautical miles (575 miles) of MCC so that it can return there each day where both the USFS contract maintenance and U.S. Coast Guard support crews will be located. Missions at a greater distance and staying away from the base will be considered on a case-by-case basis. Map showing 500 nm radius from Sacramento. A second HC-130H is expected to arrive at MCC in August and will only be used for flight crew training. It will also be a work in progress but should be sporting the new USFS paint scheme. Its Programmed Depot Maintenance will have been completed but it will still need to have a gravity-based retardant tank installed. Coast Guard HC-130H #1708, will be one of the first two Coast Guard HC-130Hs to be used by the USFS. Photo by Andrew Sieber 7-20-2009. The first two aircraft to arrive at MCC this summer are 27 and 31 years old. If, after various federal government agencies invest up to $130 million in the conversion of the aircraft, and if the USFS keeps them for 20 years, at that point they will be about the same age as the P2Vs that have been falling out of the sky at an alarming rate over the last 15 years. A $6 million contract for air crews to fly the aircraft was awarded April 27, 2015 to CASS Professional Services Corp, headquartered in Temecula, California. The following jobs will be initially filled for a nine month period with options to extend the term of the contract for an additional two years. 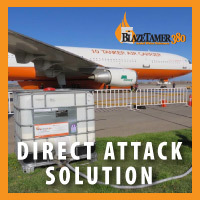 …design, manufacture, and installation of a 3,500 gallon Retardant Delivery System (RDS) for seven (7) HC-130H aircraft. There will be a basic contract with one (1) trial kit/install, one (1) verification kit/install, and three (3) production kits/install. There will be an option for two (2) additional production kits/installs. Effort includes but is not limited to: RDS development, manufacture and installation, structural modifications, and maintenance and inspection plans. The upper portion of the tank above the floor will be removable and have the ability to disperse 3,500 gallons. A contract for maintenance of the aircraft is being advertised now with a response date of May 29, 2015. The contractor must provide a total of 17 mechanics and avionics/electrical technicians in the Primary, Secondary, and Back Shop crews. The contract will initially be for a nine month period (June 1 through January), with options to extend for an additional two full years. Services will be provided five days a week during the non-fire season, and seven days a week during the fire season. Most of the work on the one or two aircraft that will initially be operated as MAFFS is being done at Robins Air Force Base in Georgia and at the U.S. Coast Guard Aviation Logistics Center in North Carolina. Jennifer Jones told us that the location of the work that will be done on the other five HC-130Hs will be determined once the U.S. Air Force has awarded a contract for it. Work that needs to be done on these aircraft includes demilitarization; performing wing and airframe modifications; designing, contracting for, manufacturing and installing retardant tanks; and equipping them with radios, Aircraft Flight Following, and other equipment. The U.S. Air Force will perform center and outer wing-box replacement modifications, programmed depot-level maintenance, and modifications necessary to procure and integrate a gravity fed aerial fire retardant delivery system (RDS) in each aircraft before they can be brought into U.S. Forest Service operation for firefighting missions. If you want to know more about what is involved in replacing wing boxes, check out the article we wrote last year, Wing box replacements in the USFS C-130s. A Coast Guard C-130H, No. 1719, one of the aircraft to be transferred from the Coast Guard to the U.S. Forest Service. Photo taken October, 2008 by Rico Leffanta. Fire Aviation has obtained a document produced by the U.S. Forest Service which indicates they expect to receive the seven former Coast Guard C-130H aircraft between Fiscal Years 2017 and 2019 after they have been converted into airtankers — two in 2017, three in 2018, and the last two in 2019. (The federal fiscal year begins in October.) This is a year later than information the Chief of the USFS, Tom Tidwell, provided to the Senate Energy and Natural Resources Committee in July of 2014. Last month the agency’s announced plan, until the seven aircraft have been fully converted to air tankers with conventional gravity-based retardant tanks, was to operate one C-130H in 2015 and 2016 with a Modular Airborne Fire Fighting System (MAFFS) installed “to provide an initial capability and to gain experience in operating the aircraft while wing and airframe modifications are being completed and gravity tanks are being developed and installed”, according to Jennifer Jones of the U.S. Forest Service in January, 2015. The document we received, dated February 4, 2015, states the USFS will have two of the C-130Hs this summer, both outfitted with the MAFFS pressurized internal retardant tanks, rather than a conventional gravity-based retardant tank. 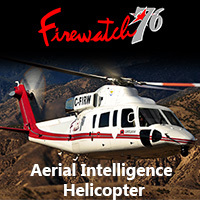 One will be used on fires within 500 nautical miles (575 statute miles) of McClellan, California, and the other aircraft will be used as a training platform until it departs for programmed depot-level maintenance in the Fall of CY 2015. Two weeks ago we asked the Forest Service when the converted C-130Hs would be delivered and were told by a spokesperson they would receive them “beginning in 2017, but we don’t have a specific schedule available yet”. The National Defense Authorization Act for 2014 passed in December of 2013 required that the seven aircraft be transferred from the Coast Guard to the Air Force where they will be updated with new wing boxes as needed, receive retardant tank systems, and any necessary programmed depot-level maintenance. 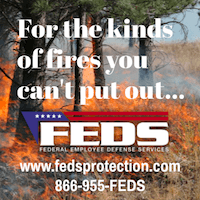 After the conversions, they will be owned by the U.S. Forest Service, but operated and maintained under contract by private companies while being used to help suppress wildfires. It is our understanding that two of the seven aircraft received new wing boxes before the transfer from the Coast Guard was initiated. Fire Aviation wrote a detailed article in January, 2014 about the wing box program and other work that must be done to the C-130Hs — at a cost not to exceed $130 million. The total cost of a center wing box kit in 2011 was $6.7 million, including installation which takes about 10 months. The programmed depot-level maintenance takes 6 to 7 months. It would probably take several months to install a 3,500-gallon retardant tank in the C-130s. The Air Force has already issued a Request for Information for the tanks. When the last of the C-130Hs are received in FY2019, we believe they will be from 42 to 46 years old. If they last 20 additional years, they will be 62 to 66 years old, about the same age as the dangerously old Korean War vintage P2Vs still being used today as air tankers that have an alarming crash history. One could debate about how high a priority it is to secure our homeland from wildfires. Meanwhile, the Coast Guard is replacing their jettisoned planes with almost new C-27J aircraft. We scoured the Forest Service document to sort out the details about the schedule for incorporating the C-130Hs into the Forest Service fleet, and put them in the table below. Click it to see a larger version. The numbers the Coast Guard assigned to the seven aircraft that are being transferred to the USFS are 1706, 1708, 1709, 1713, 1714, 1719, and 1721. The paint design that has been approved by the Forest Service for the seven C-130s that were transferred from the Coast Guard to the Forest Service. The U.S. Forest Service and the Air Force are taking steps toward installing fire retardant tanks and hiring flight crews for the seven C-130Hs that the USFS acquired from the Coast Guard. The aircraft will be converted into air tankers and will be Government Owned but Contractor Operated (GO/CO). The Air Force is responsible for performing the required maintenance, replacing the wing boxes as needed, and purchasing and installing retardant tanks in the aircraft. 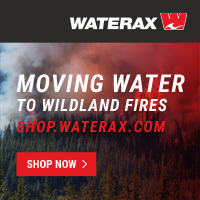 They have issued a Request For Proposals for up to seven “Retardant Delivery Systems” that would have a 3,500-gallon capacity. The presolicitation RFP was first issued in July, but has been changed or amended 12 times. The latest response due date is January 23, 2015. 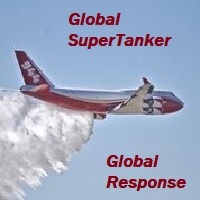 It is obvious that until now the Air Force has never solicited for an air tanker fire retardant tank. Meanwhile, the USFS has issued a Request for Information (RFI) about potential contractors that would be interested in providing crew(s) for the C-130Hs. They do not intend to award contracts based on the request for information — presumably that would occur later. One of the Coast Guard C-130Hs, #1709, being transferred to the USFS — shown with Jeanine Menze, the first USCG African American female aviator. She earned her wings June 24, 2005. The agency’s plan is to operate one C-130H in 2015 and 2015 with a Modular Airborne Fire Fighting System (MAFFS) installed “to provide an initial capability and to gain experience in operating the aircraft while wing and airframe modifications are being completed and gravity tanks are being developed and installed”, according to Jennifer Jones of the U.S. Forest Service. The aircrew must be current and qualified in the aforementioned requirements within the last two years from the date the solicitation closes. It will be interesting to see how difficult or easy it will be to meet that specification. The RFI indicates that the aircrew members would be based in Sacramento, California for one year with the option for an additional two years. 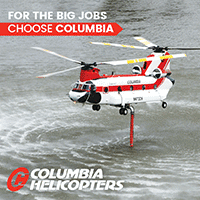 In addition, a Project Manager qualified as a U.S. Military C-130H Instructor Pilot will be required to oversee the contractual requirements from Boise, Idaho at the National Interagency Fire Center. Mrs. Jones said the RFI applies only to the single C-130H that they expect to operate in 2015 and 2016 with a MAFFS tank. 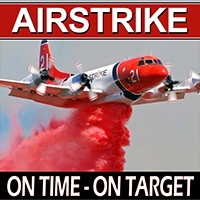 The aircrew description indicates that it would be structured so that they could utilize the slip-in Modular Airborne FireFighting Systems (MAFFS) that have been used since the 1970s in Air Force Reserve and Air National Guard aircraft when there are not enough contracted air tankers available during a busy fire season. A MAFFS has two air compressors that pressurize the 3,000-gallon tank in order to force the retardant out a large pipe that exits the aircraft on the left side through a modified paratroop door. In a MAFFS-outfitted C-130, two loadmasters operate the MAFFS retardant unit. If the “new” USFS C-130Hs are equipped with a conventional gravity-based retardant tank, it is unlikely that any loadmasters would be necessary. Mrs. Jones said the additional six C-130Hs will be brought into service “beginning in 2017, but we don’t have a specific schedule available yet”. We asked for copies of plans the USFS may have about how to incorporate into the fleet and then manage the seven C-130Hs under the new Government Owned/Contractor Operated program. We were told that information would only be available through a Freedom of Information Act request. The USFS will have similar issues with the 15 Shorts C-23B Sherpa aircraft that they received from the military at the same time they got the C-130Hs. While we wait for the FOIA request to be honored, lets take a look at the scope of the new GO/CO program. Based on the first award (that was later cancelled) for the next generation air tankers in 2013, the USFS would have been paying in the range of $50,000 per day for each Contractor Owned/Contractor Operated aircraft — and this may not include the cost of fuel. If we assume that same $50,000 cost for a C-130H with crew, that works out to about $56,000,000 a year for seven, or $560,000,000 for 10 years. We asked Jack Kendall of OK Aviation what a typical used C-130H would sell for. He said the price varies a lot based on the number of hours on the airframe, the status of programmed maintenance, how much work would have to be done in the cockpit, and whether or not a new C-130J-style wing box has been installed. But he said generally they would sell for $12,000,000 to $20,000,000. Assuming the mid-range price of $15,000,000, the USFS has approximately$105,000,000 worth of C-130Hs if they had been bought on the open market. In addition, before the aircraft are finally turned over to the USFS, the Air Force is authorized to spend up to $130,000,000 for all of the maintenance and modification work, including installing new wing boxes in at least five of them and putting retardant tanks in all seven. 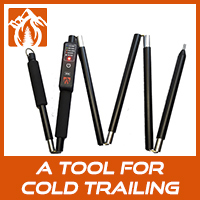 Any additional work would have be paid for by the USFS. Using these very rough figures, it works out to a program worth about $795,000,000 over ten years. And that does not take into account the 15 Shorts C-23B Sherpas which will probably be used for smokejumpers, cargo, paracargo, and personnel transport. More than three-quarters of a billion dollars of taxpayer money for the seven aircraft is a very, very large program, especially when it is something the USFS has never done — the beginning of a new GO/CO paradigm. No doubt, as in any major new program, mistakes will be made. We hope the agency is prepared to take on this new responsibility. You may remember that the U.S. Forest Service wanted to acquire 14 C-27J aircraft that were being disposed of by the military, hoping to convert them into air tankers. The agency appeared to be confident they would receive them and even awarded an aircraft engineering support services contract for up to $300,000 to Aeronautica. The contract required experience as an engineer with the G222, C27A or C27J. But instead of the C-27Js, the USFS got seven C-130Hs that the Coast Guard was throwing away, and the Coast Guard received the 14 C-27Js which were only a few years old. The first C-27J to complete the Coast Guard’s regeneration process arrived at the C-27J Asset Project Office (APO) in Elizabeth City, North Carolina, Nov. 13, where it will be used to train and qualify Coast Guard aircrew and maintenance personnel, as well as develop flight and maintenance procedures for Coast Guard-specific mission profiles. Ultimately the aircraft will receive the equipment and systems needed to perform the full spectrum of Coast Guard missions. CG-2714 arrives at Elizabeth City, North Carolina, Nov. 13. U.S. Coast Guard photo. Regeneration is the complex process that leads to flight clearance of planes being re-activated from long-term preservation. Working at the 309th Aerospace Maintenance and Regeneration Group’s facility in Tucson, Arizona, where 13 of the 14 C-27Js being transferred to the service are stored, the Coast Guard’s regeneration team investigated the aircraft’s history, verified the details of its configuration and inventoried the installed components, performed extensive inspections and necessary maintenance actions, and conducted a functional check flight. The plane was then released for transit to the APO. While CG-2714 underwent regeneration, the APO commanding officer, Capt. Shannon McCullar, sent his executive officer, Cmdr. Peter Beavis, and operations officer, Lt. Cmdr. Kenneth Bethea, to Italy for training to be rated as C-27 pilots. The APO also prepared the hangar at the Coast Guard Aviation Logistics Center in Elizabeth City to house and support the aircraft. A second C-27J should complete regeneration before the end of this year, and two others are expected to finish by mid-2015. The U.S. Air Force has announced that they will soon be soliciting bids for retardant tank systems for seven C-130H aircraft. These would presumably be installed in the C-130Hs the Coast Guard disposed of and “gave” to the U.S. Forest Service to be converted into air tankers. The Air Force is responsible for the retrofitting and maintenance that must be completed before the aircraft are finally turned over to the USFS, expected to occur in 2018 or later. This constitutes notice that WRALC has a requirement for design, manufacture, and installation of a 3,500 gallon Retardant Delivery System (RDS) for seven (7) HC-130H aircraft. There will be a basic contract with one (1) trial kit/install, one (1) verification kit/install, and three (3) production kits/install. There will be an option for two (2) additional production kits/installs. Effort includes but is not limited to: RDS development, manufacture and installation, structural modifications, and maintenance and inspection plans. The successful offeror will be chosen using the Lowest Price Technically Acceptable (LPTA) source selection procedure. Based on market research, the Government is not using the policies contained in Part 12, Acquisition of Commercial Items, in its solicitation for the described supplies or services. The estimated release date is 25 Aug 14 with a required response date of 30 days after issuance. The seven C-130 aircraft that are being transferred from the Coast Guard to the U.S. Forest Service are expected to be converted to air tankers by Fiscal Year 2018, which begins October 1, 2017. Chief of the USFS, Tom Tidwell, provided this information in a brief update on the retrofitting project Tuesday morning in a hearing before the Senate Energy and Natural Resources Committee. In addition to the lengthy delay in outfitting the aircraft to fight fires, Chief Tidwell said the earliest even one of them will be available to firefighters will be late in 2015. And by then that single aircraft will not have been fitted with a conventional internal gravity-based tank system, but it will be saddled with a 3,000-gallon slip-in Modular Airborne FireFighting System (MAFFS). 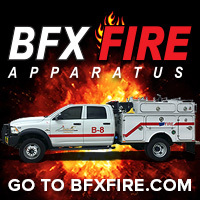 Most firefighters will tell you that retardant converted to a mist by the pressurized MAFFS equipment is not as effective as a conventional gravity-based retardant tank system in suppressing fires, especially in penetrating tree canopy. In the hearing today Colorado Senator Mark Udall brought up the C-130 subject when he asked the Chief if he was concerned about the progress of the retrofitting project. Chief Tidwell said he will remain concerned until he sees them flying over fires. He did not say why the conversions are going to take four years. For anyone who has been looking forward to the seven C-130s bolstering the atrophied air tanker fleet, this is disappointing news. In January a spokesperson for Senator John McCain, the Senator who wrote the amendment that requires the transfer of the aircraft, said two of the seven C-130Hs would not require major maintenance and could be available as air tankers in 2014 after they are converted to air tankers. The other five may need extensive work, including replacement of the wing boxes which can take 10 months in addition to programmed depot maintenance which takes 6 to 7 months. In January we wrote about the wing box replacement and other maintenance that will have to be completed on the aircraft.